My Client, Kyle, Loves His Pot! 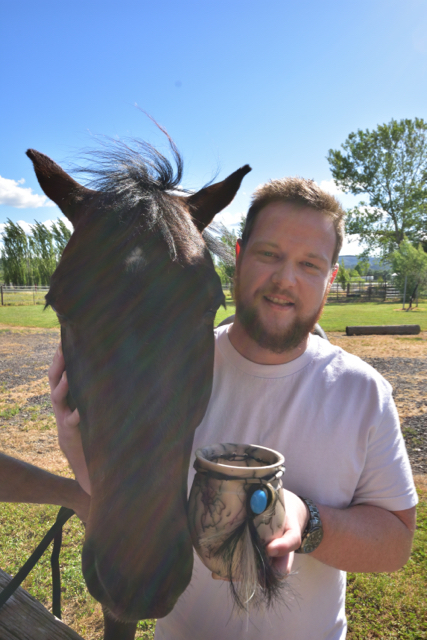 My client Kyle (beside his horse Shorty), was very happy to receive his custom made clay Vase. 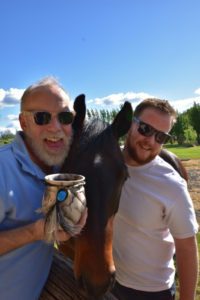 Hand-thrown and with hair from his horse’s tail, (and his name engraved on the bottom), it becomes a “Touchstone of Love.” Kyle loves his horse so much, and now he owns this very special reminder. This Vase (Pot) sells for $70 plus $15 shipping. Just mail me some strands of hair from your horse (of other pet), with your check, and I will take care of the rest!